Spasandstuff.com is pleased to announce that we are reintroducing the Keystone Round Hot Tub to our website! The Keystone Round is a 5-person hot tub with a design that is a throw back to the original round hot tubs with modern, state-of-the-art upgrades. High-efficiency electronics, designer craftsmanship, and varied hydrotherapy jet configurations make this a luxurious retreat in your own home. It also features an elevated seat that works well as a cool down seat or just another place to relax. This entry was posted in Hot Tubs and tagged hot tub, keystone hot tub, round hot tub on October 28, 2013 by admin. Do You Need a Permanent Hot Tub or a Portable Hot Tub? When you are looking to purchase a hot tub for your home, the very first question you have to ask yourself is whether you want a portable hot tub or a permanent hot tub set in-ground. You might be surprised what is considered portable and what is considered permanent, so be sure you do your research first. Indoor hot tubs are typically installed in a bathroom or an enclosed sun-room (or something comparable). Indoor spas are considered portable because although they are securely attached to plumbing and electrical house outlets, they can eventually be taken away. So while they may look like a permanent feature of the home, they are actually portable. 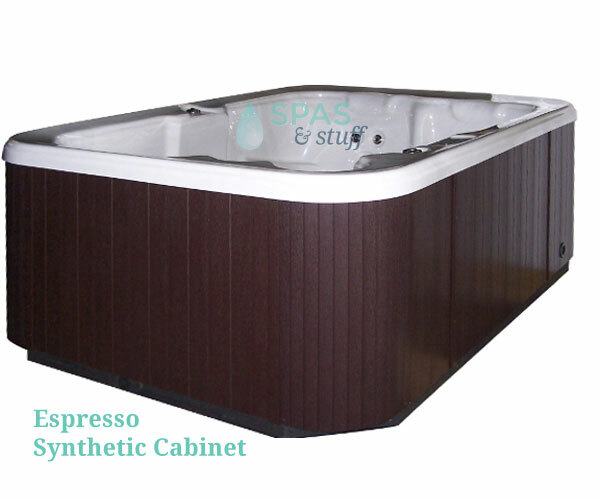 The most common outdoor hot tub is also portable, as it is usually placed on a deck or above ground in a yard. This type of hot tub is more visibly portable. However, outdoor hot tubs can also be permanent when they are set in-ground, often as part of a larger pool structure. Yes, eventually you can also take the in-ground hot tub away, but this would be much more of a project than one settled above ground. When deciding on an outdoor above-ground hot tub, the alignment of plumbing and electrical ports to the house may be a factor. Some portable owners move the tub around the yard by season depending on the position of the sun. In this manner, an outdoor portable has a great deal of flexibility in how to use it, and may actually have a longer period time during the year in which you can comfortably enjoy it. Portable indoor hot tubs may be less mobile, but you could still feasibly transfer it to another room if you so chose. 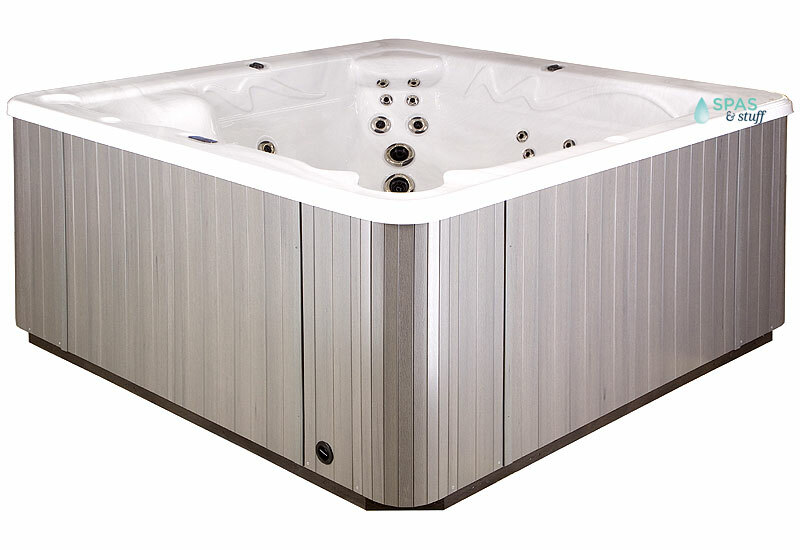 Permanent hot tubs tend to cost more than portable hot tubs due to the issue of placing it in the earth. There may also be added necessities, such as permits and fees. Always contact your local gas and electrical utilities, as well as the appropriate authorities, before digging. 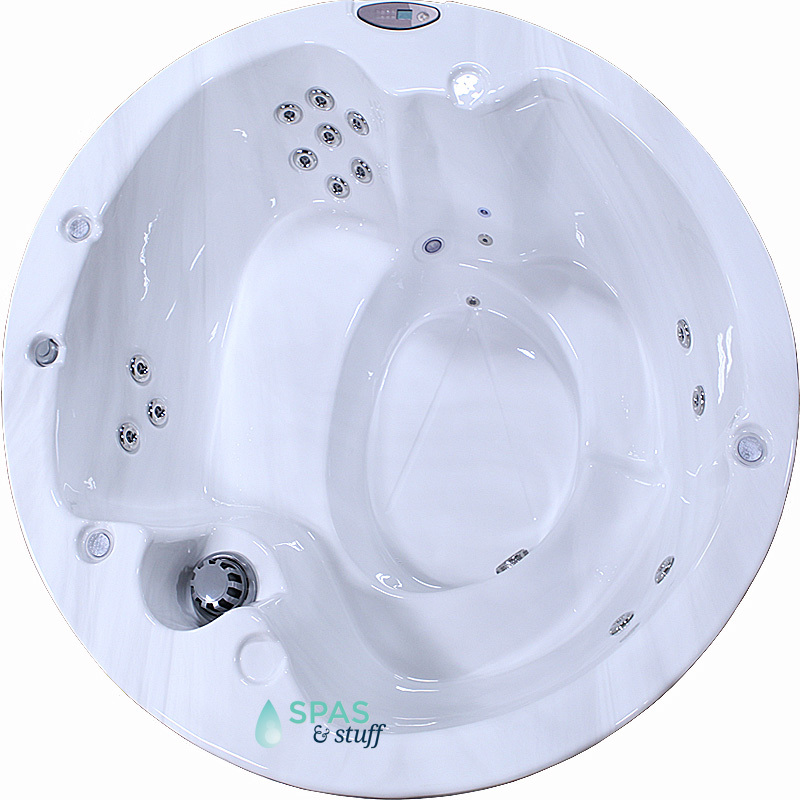 Here at Spasandstuff.com, we carry some really great options for portable indoor and outdoor tubs, so feel free to contact us with any questions you may have about this type of tub. Happy soaking! This entry was posted in Hot Tubs and tagged portable hot tubs, permanent hot tubs on October 22, 2013 by admin. Hot tub spas and televisions may be the best combination since peanut butter and jelly. How is this for true luxury living: soaking in a hot tub with while watching the game or your favorite movie. It's a pretty relaxing image, right? Spasandstuff.com wants you to live that dream. 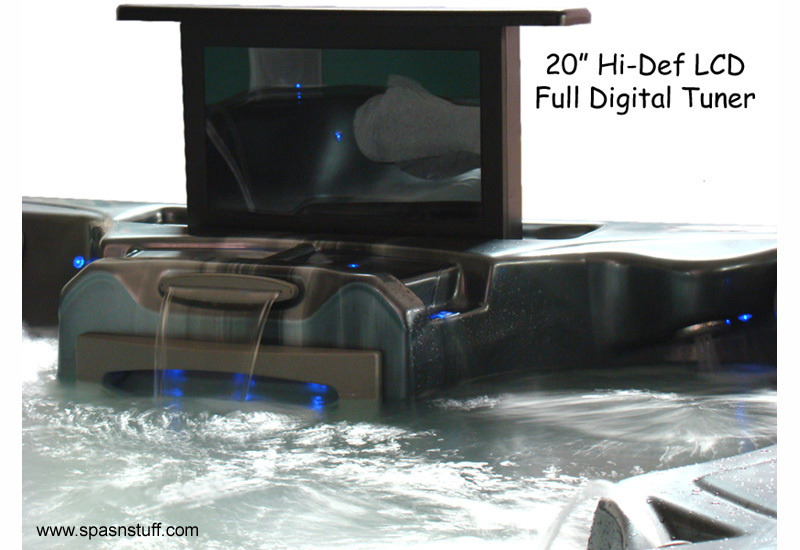 Our BellaGrande SLT model hot tub is designed with a 20" television affixed to the tub itself, along with a DVD player and 4-speaker stereo system--all design for safe use in the hot tub. 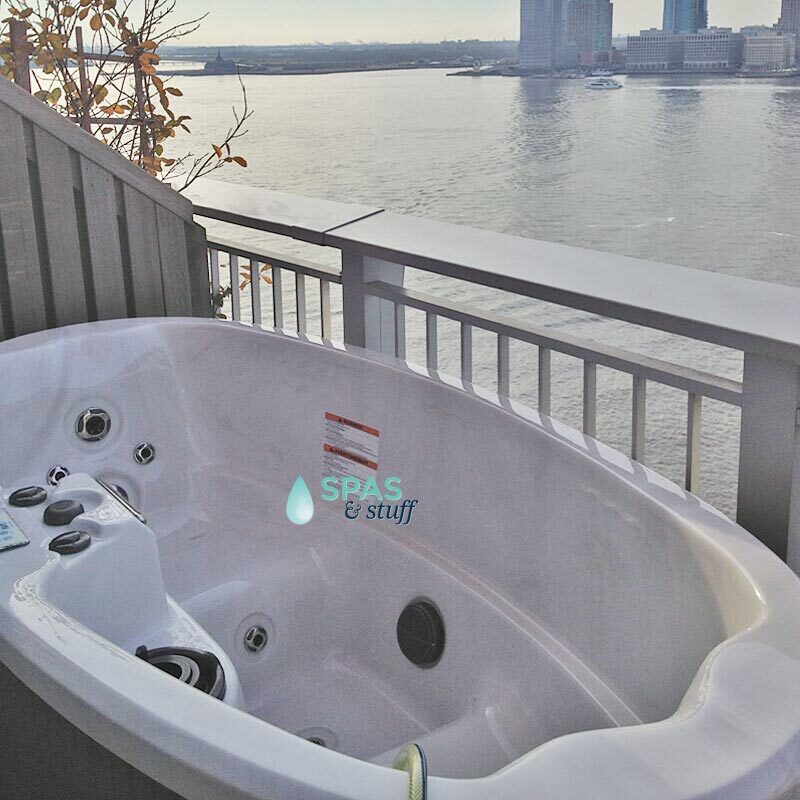 The tub also has 51 jets, aromatherapy options, and so much more. It's truly a luxurious retreat for the discerning consumer. Please note that the hot tub's electronics are all specially designed for use near water. Do not attempt to set up televisions, dvd players, stereos, or any other electronics near your hot tub on your own. Most are not designed to be used near water and are a serious electrocution hazard. The Bellagrande SLT has been designed to provide you with entertainment electronics in a safe and enjoyable way and is a much better and wiser solution than cutting corners and setting up your own system. 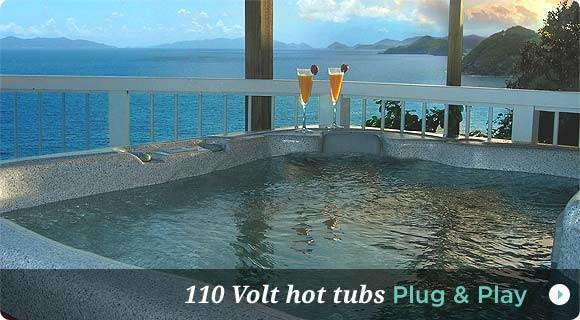 This entry was posted in Hot Tubs and tagged hot tubs, tvs, luxury on October 19, 2013 by admin.